Hardcover, 9.5 x 12 in. / 200 pgs / 92 color / 50 bw. 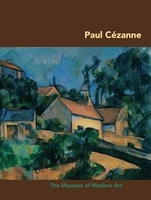 From the mid-1860s to the mid-1880s two artistic legends, Paul Cªzanne and Camille Pissarro, executed numerous paintings side by side as they worked in Pontoise and Auvers. This book accompanies an exhibition of 74 paintings and 8 drawings that embody the core of the two artists' collaboration and explores their artistic relationship in detail. Their dynamic interaction began with their first meeting at the Academie Suisse, Paris, circa 1861, and continued through much of their careers. To examine the techniques that Cªzanne and Pissarro adopted in response to each other's work, the exhibition and book juxtapose related works by both artists, reuniting many of them for the first time since they were created. The friendship between Cªzanne and Pissarro was of considerable importance within the development of early modernism. An essay by Joachim Pissarro discusses this fascinating interchange and offers new insights into both the shared and the distinctive elements of the two artists' aesthetic sensibility. FORMAT: Hardcover, 9.5 x 12 in. / 200 pgs / 92 color / 50 b&w.